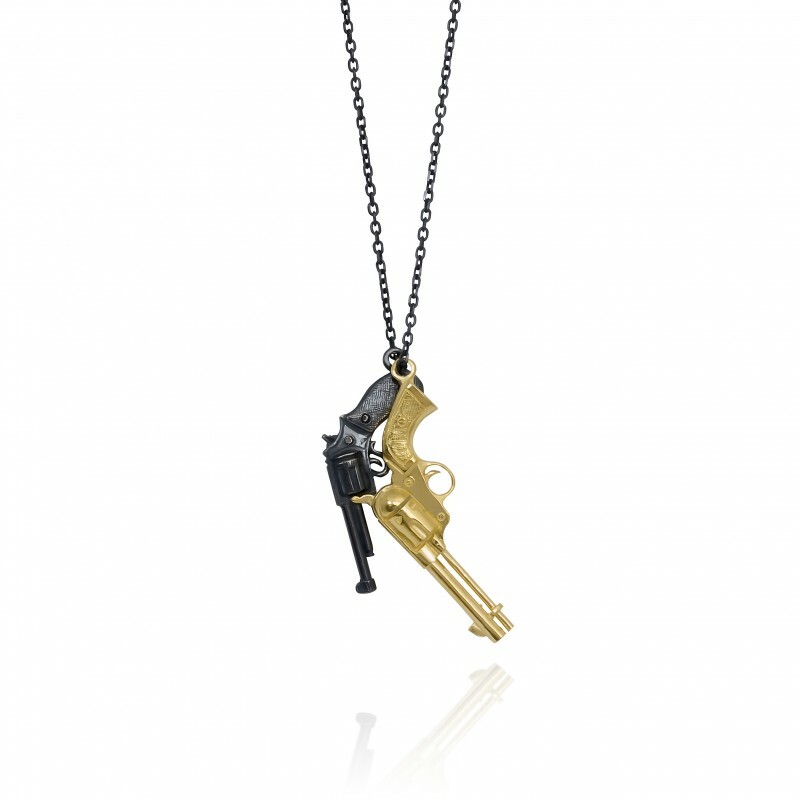 From the Russian Aristocrat Collection, this evocative and unique double gun pendant features and oxidised silver and a gold plated gun. Inspired by the Byronic hero Pechorin from Mikhail Lermontov’s ‘A Hero of Our Time’ Tomasz Donocik’s Russian Aristocrat Collection draws upon his opulent old-world aesthetic and deftly re-contextualizes it for the contemporary accessories wearer. Part of a uniquely captivating collection of jewellery from Tomasz Donocik, which aims to challenge the preconceptions of self-adornment. Through the sensitive fusion of materials his bold, masculine and often androgynous creations inject jewellery design with new meaning and form.